Will the misunderstood baddies of the DC Universe get redemption or reprieve? Will they ever resort to saving the world, instead of wreaking it to havoc and discord? The live action adaptation of DC's Suicide Squad will definitely give us the answer and it's coming this year! The poster has been unleashed to the world and the trailer is about to come. Suicide Squad is directed by David Ayer and starring Will Smith, Margot Robbie, Jared Leto, Jai Courtney, Joel Kinnaman, Cara Delevingne, Viola Davis, Adewale Akinnuoye-Agbaje, Adam Beach, Jay Hernandez, and Karen Fukahara. This loosely-based adaptation of DC Extended Universe comic series in a Warner Prothers presentation, produced by Charles Roven and Richard Suckle; executive producers Zack Snyder, Deborah Snyder, Colin Wilson, and Geoof Johns. 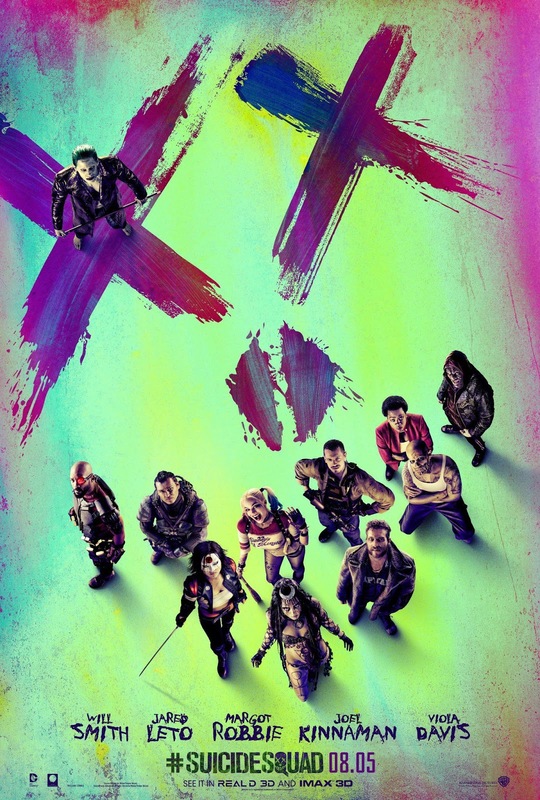 Check out the poster of Suicide Squad. And here is the official trailer of Suicide Squad, released by Warner Bros. The official synopsis is still in the wraps, but the general gist will be as follows: "A secret government agency run by Amanda Waller, named A.R.G.U.S creates a task force comprised of super villains, the 'Suicide Squad'. They are assigned to execute dangerous tasks in exchange for shorter prison sentences." DC's Suicide Squad will hit cinemas on August 5, 2016.